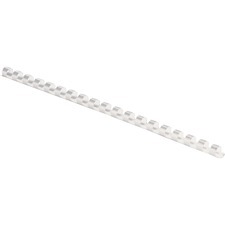 Nylon data posts measure 8 1/2-inches in length and fit 6-inch capacity data binders. Each set includes two posts. Length: 8 1/2"; Capacity (text): 6"; Material(s): Polycoated Nylon. Loose-leaf rings made with multi-layer nickel-plated steel will not crack or split. Rings open and close easily and lock for extra security. Ring Size: 1 1/2"; Ring Material(s): Nickel-Plated Steel.